I do have the multiple soil samples and I have given three treatment to these soil sample: T1, T2, T3. So I want to see the treatment effect on microbial abundance in these samples. Hi @Yogesh_Gupta, what have you tried so far? It may not be a bad idea just to try to test for differences between your treatments (i.e. --p-formula Treatment ). @Yogesh_Gupta - we need more information. 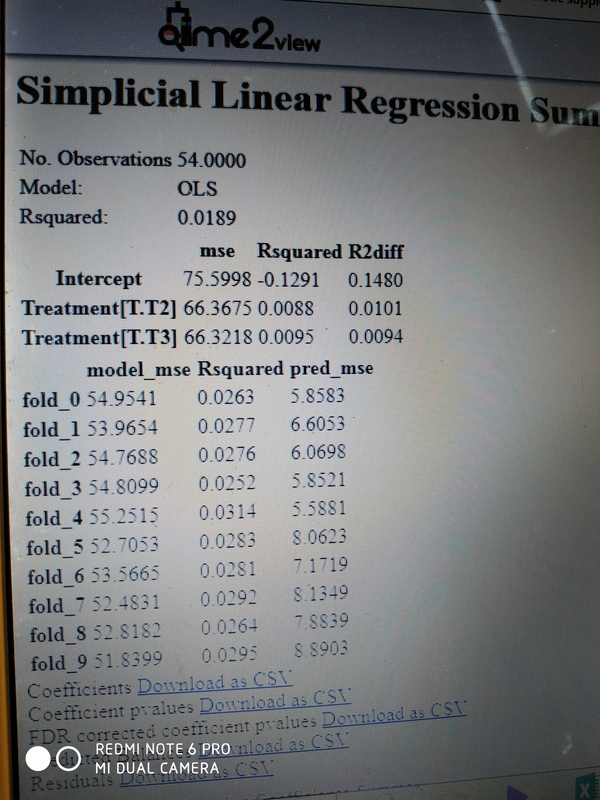 What do the regression summaries look like? 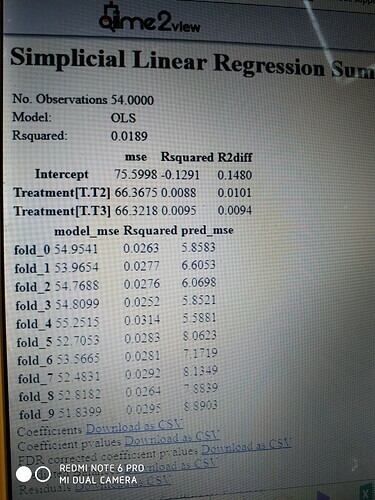 Thanks, I have attached the regression summary. ok … those summaries really don’t look good. Do you see any separation with beta diversity? If not, I’d be inclined to say that there is no signal. Initially, I run all samples together: I do have 3 tissue: root, shoot and soil and three treatments: T1 , T2 ,T3. 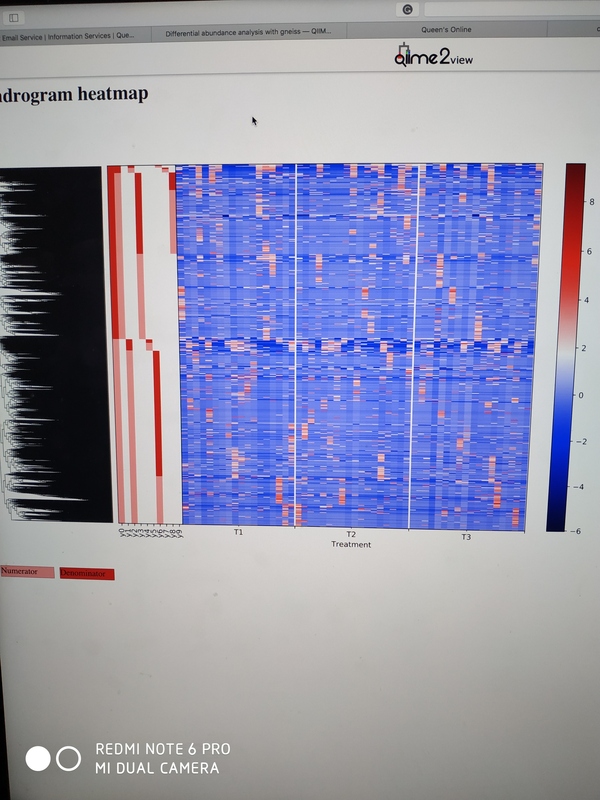 For gneiss differential abundance, I only processed with soil samples with filtering the data, but earlier diversity analysis were performed all together. should I filter the soil sample and perform the diversity analysis again? for gneiss analysis I also perform feature table filtering, should I do same filtering before doing diversity analysis.